Fox 46Sherell Bates was at the register when a police officer asked what was under her blouse. A pregnant woman was reportedly questioned by a police officer while shopping at a Staples store in Pineville, North Carolina. 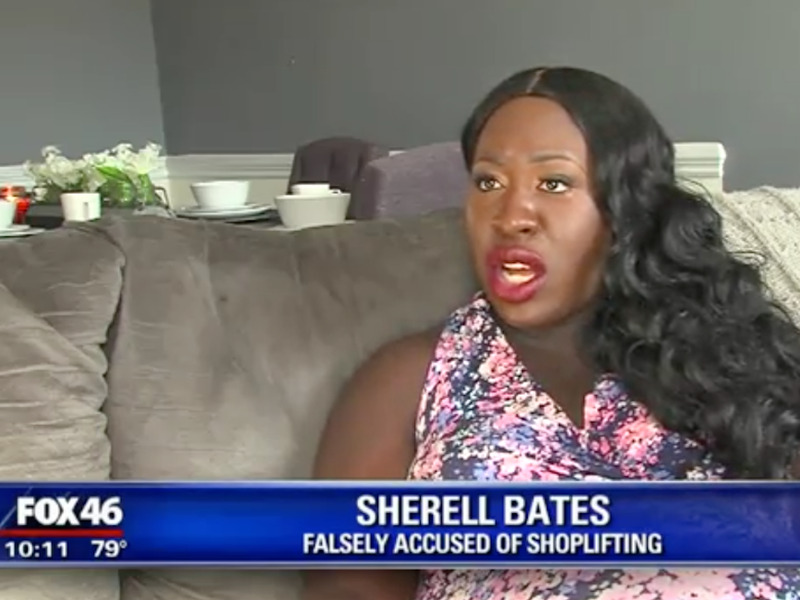 The officer had been alerted by a store manager who reportedly suspected that the customer, Sherell Bates, was shoplifting. Bates was at the register when a police officer asked her what was under her blouse. “Initially, I thought he was joking, so my response was: ‘Twins,'” she told local ABC affiliate WSOC. Staples has issued a formal apology. A woman pregnant with twins was stopped by a police officer at a Staples store in Pineville, North Carolina, after a store manager reportedly suspected her of hiding stolen goods under her shirt. Sherell Bates said she was at the register when a police officer asked her what was under her blouse, local ABC affiliate WSOC reported. The officer had been alerted by a store manager who believed Bates was shoplifting. “Initially, I thought he was joking, so my response was: ‘Twins,'” she told WSOC. Bates said she is 34 weeks pregnant with a boy and girl. She told Fox 46 that neither the manager nor store officer apologised.